“Montalbano sugnu!“. Who knows these words? Of course, everybody who knows Inspector Montalbano TV series. The tv series is adapted from the best-selling books by Sicilian author Andrea Camilleri. The TV series of Inspector Montalbano is set in and around the fictional town of Vigata, that is the picturesque area of southeast Sicily. This Montalbano Food Tour will take you around the places of the famous TV series of Montalbano, discovering baroque beauties, scenes of the film, and Sicilian food! Pick-up at your accommodation in Catania or in the close vicinity at around 8.30 am in the morning. First stop: First of all, visit of Donna Fugata Castle which figures into the film as the residence of a mob boss and Cheese tasting. Donnafugata Castle is a patchwork of architectural and artistic styles, including one Venetian Gothic facade and Baroque interior. The visit will take you around through many decorated rooms on the first floor of the castle, including a Hall of Mirrors, smoking room, music room, royal bedrooms, and many rooms with trompe l’oeil paintings on the ceilings. Visit of the castle’s gardens with a ~300 year-old ficus and a labyrinth. In addition visit of an ancient cheese factory to discover the production of cheese and tasting of famous cheese “Ragusano“. Second stop: Especially relevant, in this stop of Montalbano food tour we will take you to ‘Marinella‘ and Montalbano’s house by the sea. ‘Marinella‘ actually is Punta Secca, a small fishing village where you can recognize Montalbano’s house. The village has a lighthouse, a small port and an old watchtower (Torre Scalambri). The Punta Secca Lighthouse is the famous landmark. Free time to make photos and enjoy the beach. At lunch time we’ll offer for free a rich tasting of Sicilian typical products of the province of Ragusa, with water and red wine from Mt. Etna. Third stop: after lunch, we are going to Scicli. The police station in “Vigata” where Montalbano plies his trade, it is in fact the town hall of Scicli in the beautifully conserved baroque’ street of Via Mormino Penna. Furthermore Scicli is also a UNESCO World Heritage site and there are many baroque churches, palaces and historical buildings to explore. Fourth stop: Modica, yet another glorious baroque town and UNESCO World heritage site. Walking around the streets of this Baroque jewel, you can’t miss out the magnificent Church of San Giorgio and the handsome façade of Palazzo Polara which appear in the Montalbano TV series. Modica, is also well known for Chocolate. In addition, you will have a free tasting of Modican chocolate, peculiar because it is exactly how the Aztecs (and the Mexicans until the nineteenth century) made chocolate. When the tasting will be over, you will get back on the minivan. The return to Catania is expected at approximately 7 pm. Adapted from the best-selling books by Sicilian author Andrea Camilleri, the TV series of Inspector Montalbano is set in and around the fictional town of Vigata, which was originally based on the Camilleri’s home town of Porto Empedocle a few kilometres west of Agrigento. 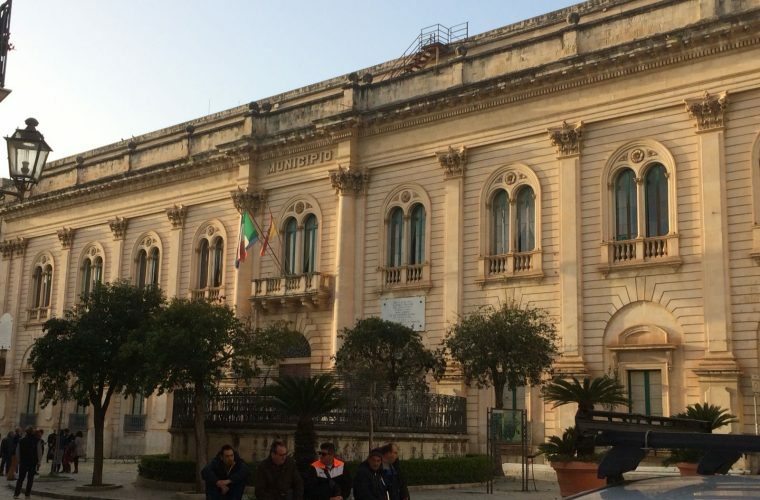 However, when RAI, Italy’s state broadcaster, decided to transform the books into a hugely successful TV series, the great Inspector was seconded to the more picturesque area of Ragusa in southeast Sicily. Following in the best TV tradition, the Vigata we see on screen is a composite rather than a single place. Mostly, its exteriors and interiors were shot on location in Ragusa and Scicli, Modica, Punta Secca, Ibla etc. 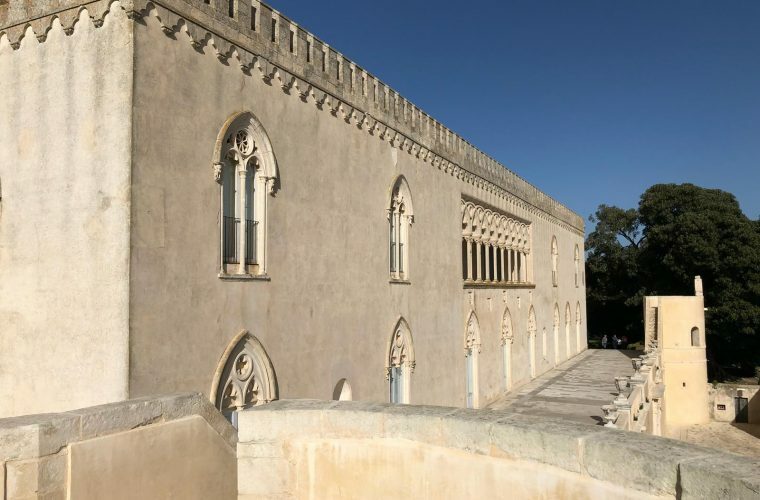 Donnafugata Castle: the 19th century home of Baron Corrado Arezzo de Spuches, about 18km west of Ragusa. In the fiction is the house of Mafia boss Balduccio Sinagra. Punta Secca: Fishermann village where you can find Montalbano’s home. Punta Secca is commonly called a’Sicca, ‘the dry’, due to the presence of anomalous rocks off the coast that in the past often caused shipwrecks. Precisely for this reason, a lighthouse 34 meters high was constructed there in 1853, which is still considered the most important of the entire coast of Ragusa. The beaches are free and easily accessible, great for both young people and families. 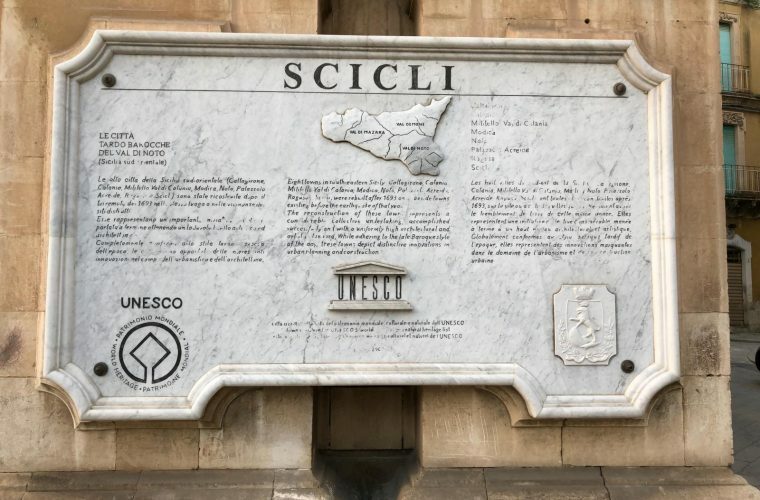 Scicli: It became part of the UNESCO World Heritage in 2002, as it boasts beautiful examples of Baroque kept within its historic center.A few kilometers from beautiful golden beaches, Scicli is now affirmed among the continuously growing Sicilian tourism spots. Modica: The elegancy of its buildings and streets richly decorated with baroque motives gave a significant boost to the town’s tourism. A further contribution was the annexation to the communities of the world cultural heritage of the UNESCO in 2002. Modica is also famous for its chocolate. Modica-chocolate is characteristic for being aromatized in different ways from Cinnamon to Chili and from red wine “Nero d’Avola” to pistachios.